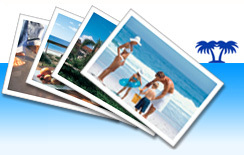 BEACH DREAMS - Steps to the Beach! 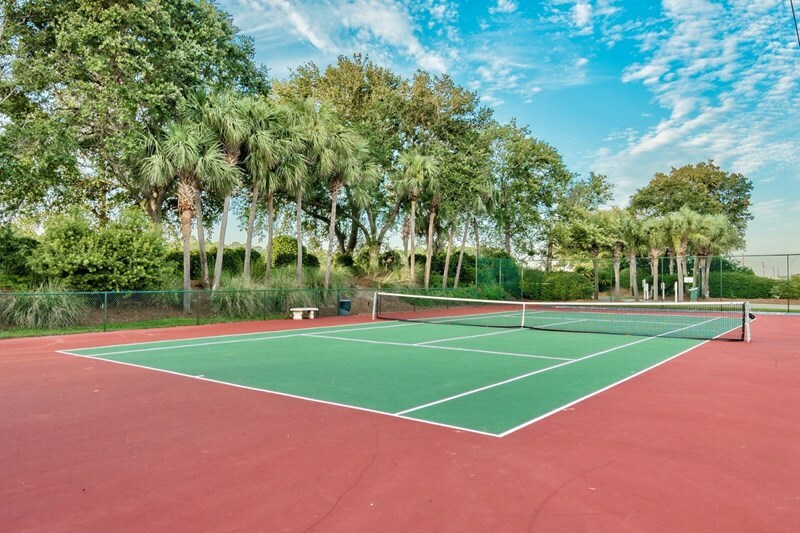 Two Pools, Tennis Courts and Private Gated Beach Access!. 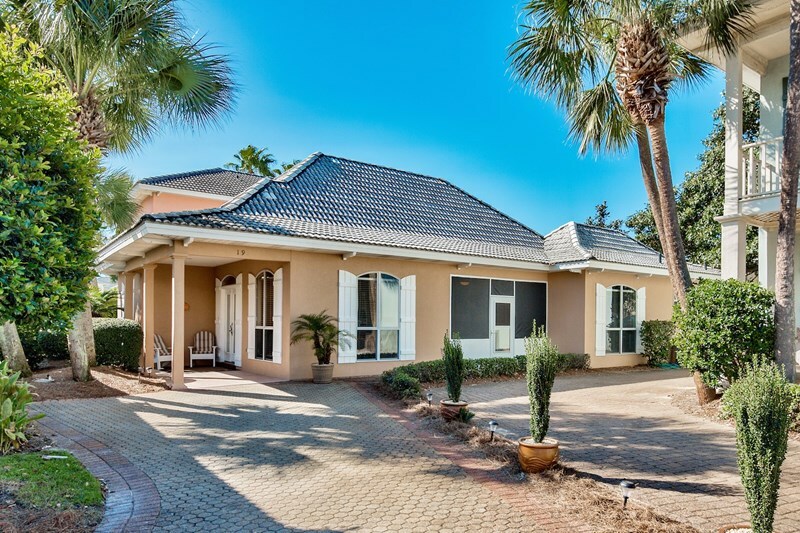 Privated, gated beachside pavilion with private bathrooms, outdoor showers and cabana cafe! Beach Dreams Vacation Cottage in Emerald Shores! 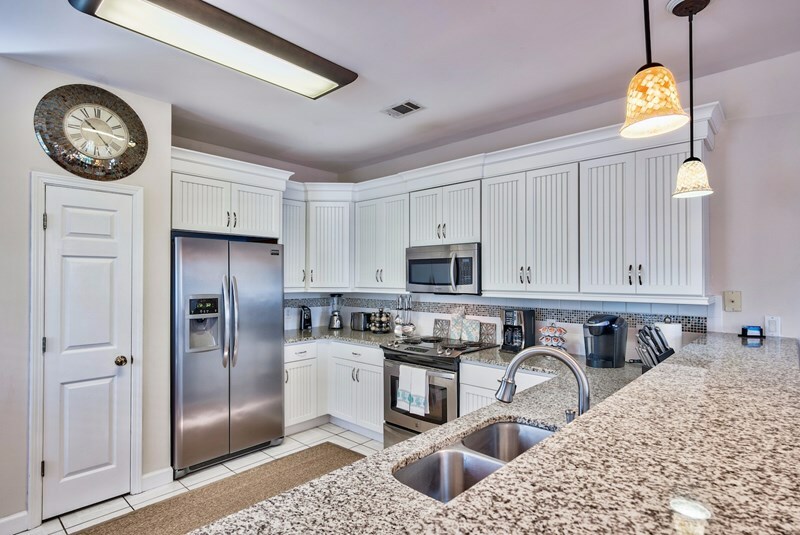 Designer kitchen with granite countertops and all stainless steel appliances! 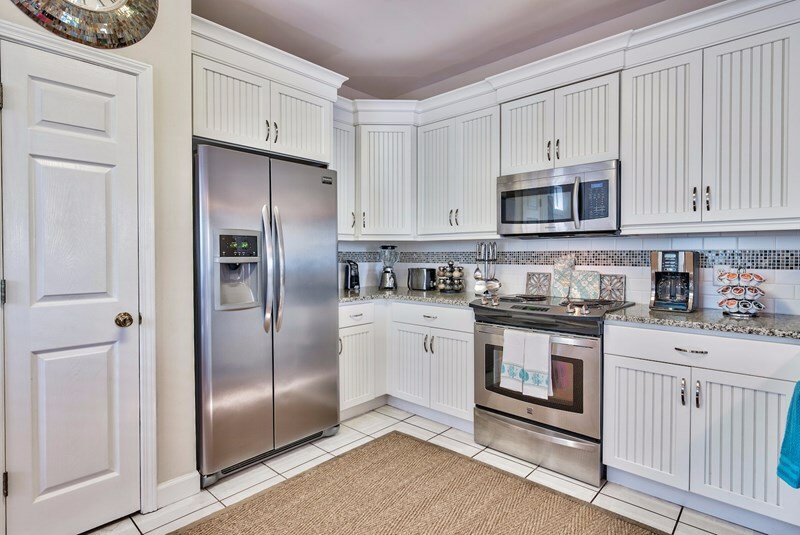 Numerous small appliances, cookware and dishes for large groups! Bright, airy coastal designed living room with queen-size sleeper sofa! 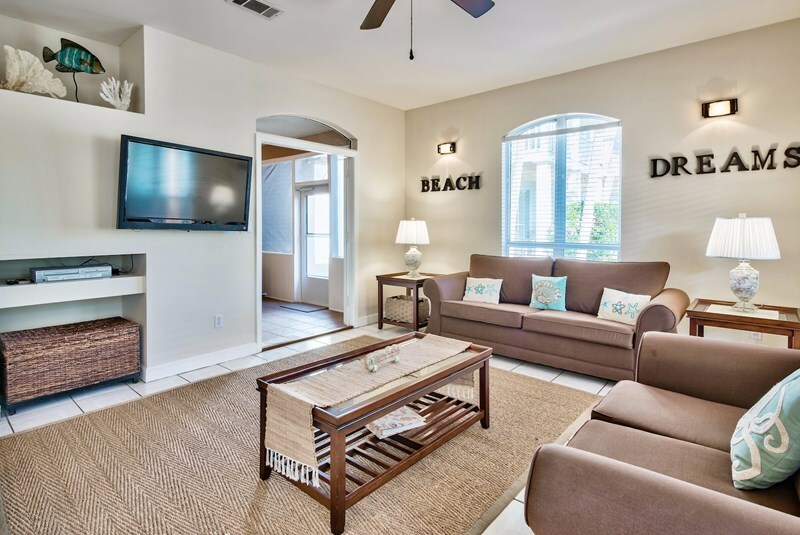 Large flat screen TV with DVD/VCR player leading into screened-in lanai! 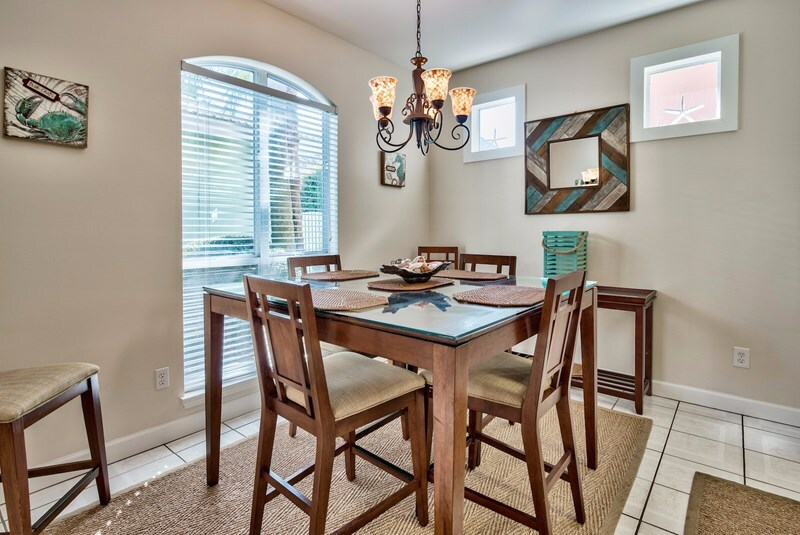 Renovated lanai with screens for enjoyable bug-free evenings! High top dining table for 6! 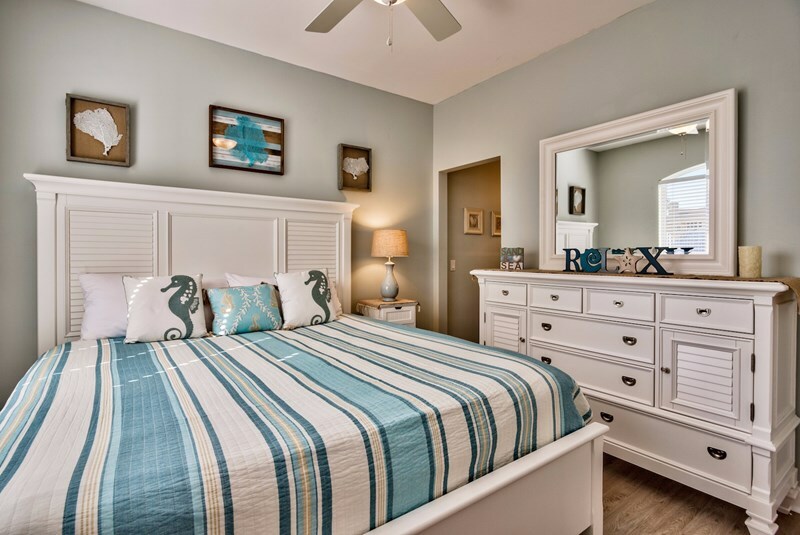 Master bedroom with king bed and attached ensuite bathroom! 2nd Master bedroom with new king bed and dresser and attached Jack & Jill bathroom! 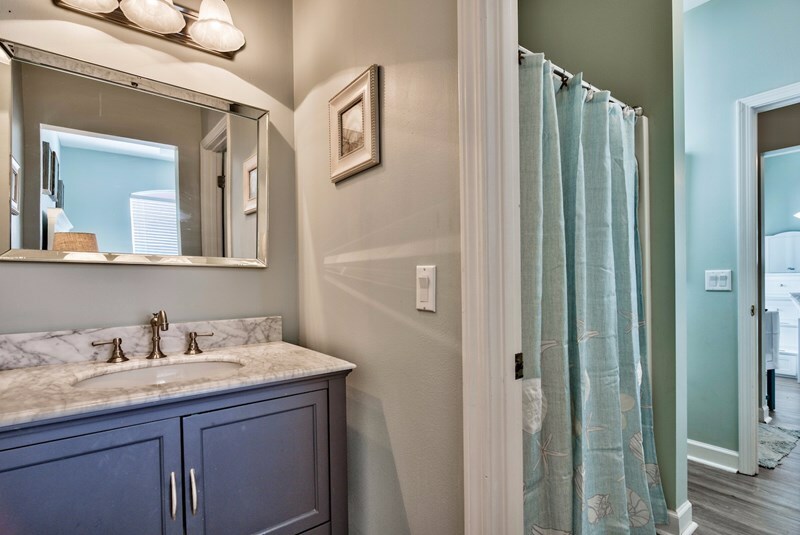 Private vanity leading into Jack & Jill shower/toilet area! 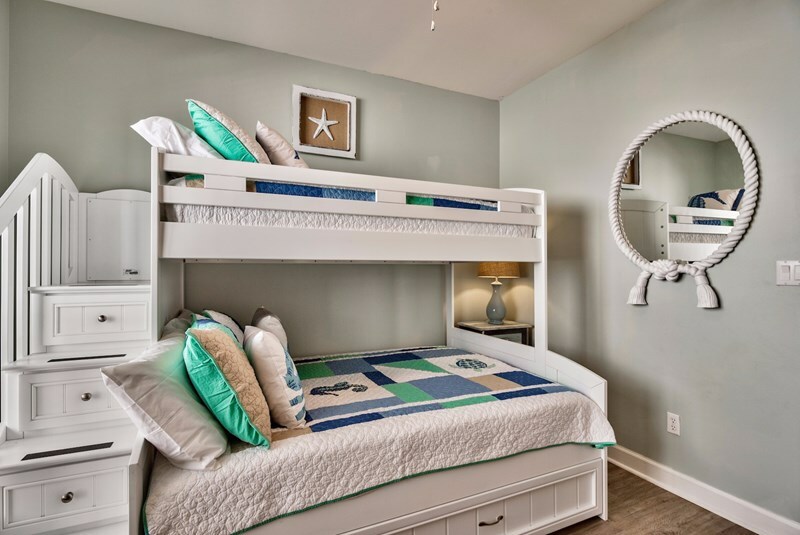 Brand new bunk bed room with Twin over Full bunk and pull-out Twin trundle bed! Storage drawers in stairs safely lead to top bunk bed. 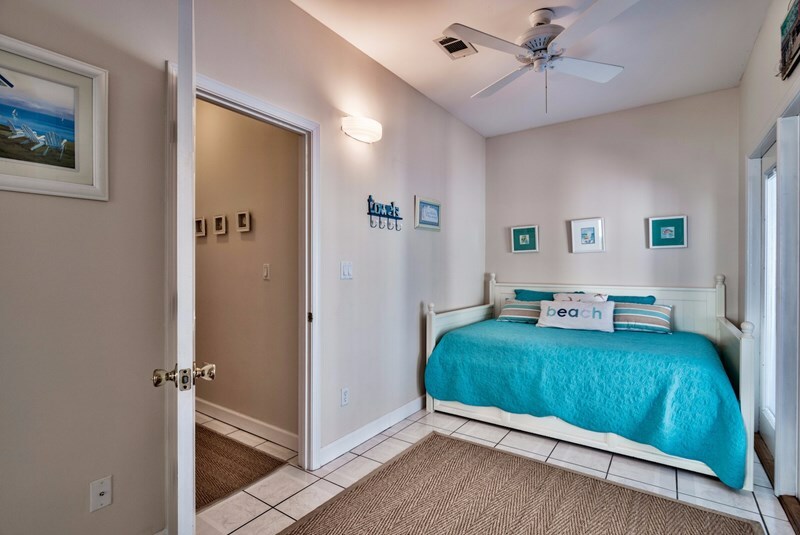 Kids will love this room! Fully enclosed sunroom leads to 2 back bedrooms! 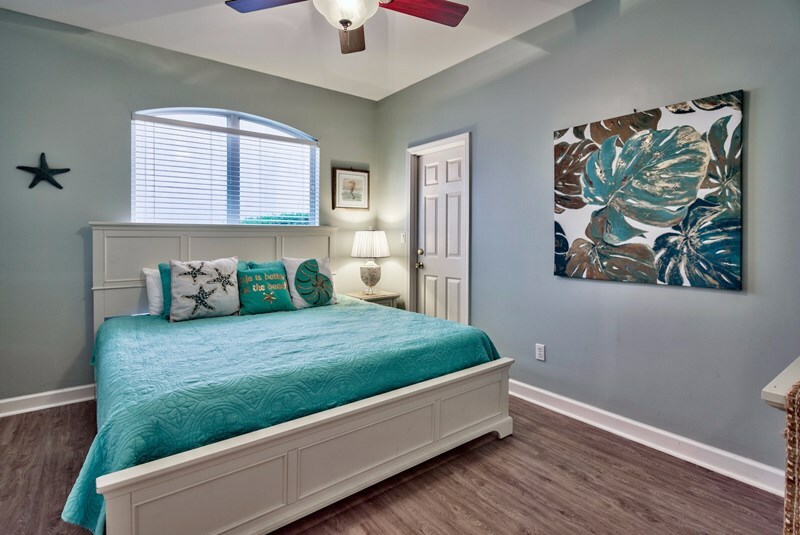 Bonus sunroom Double trundle with pull out Twin bed! Perfect for kids! 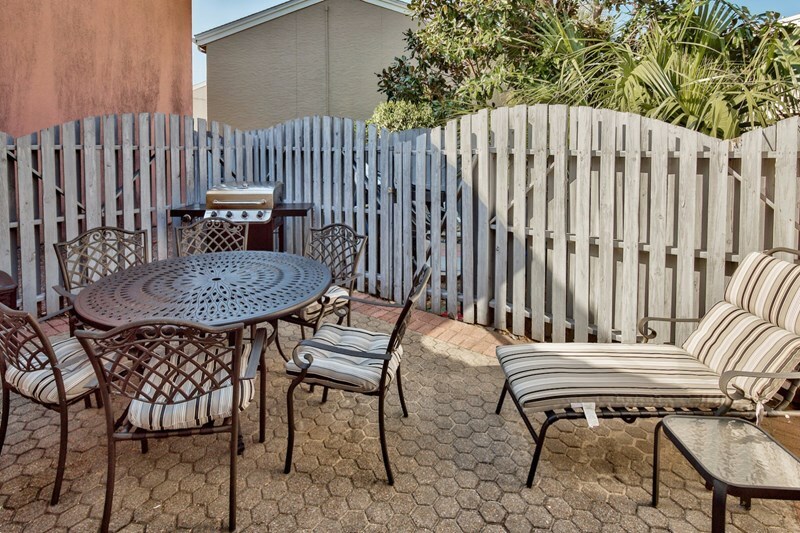 Private back courtyard with new table and gas grill! 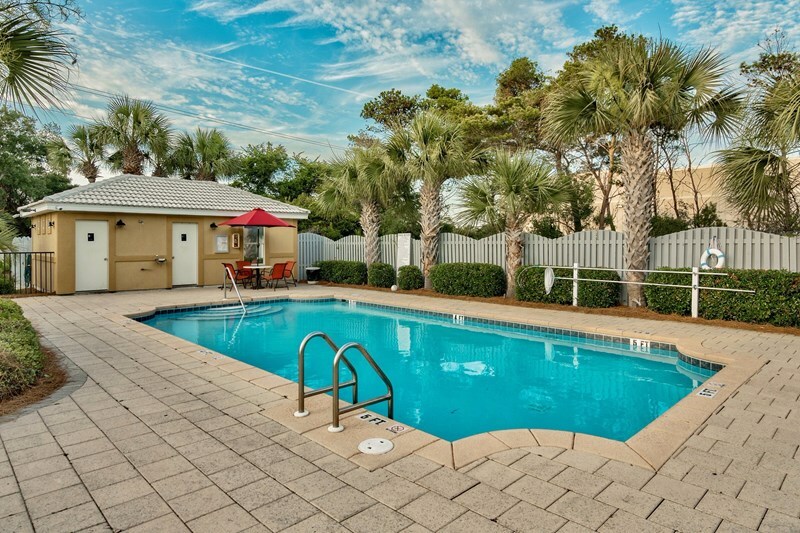 Main community pool steps from Beach Dream Cottage! 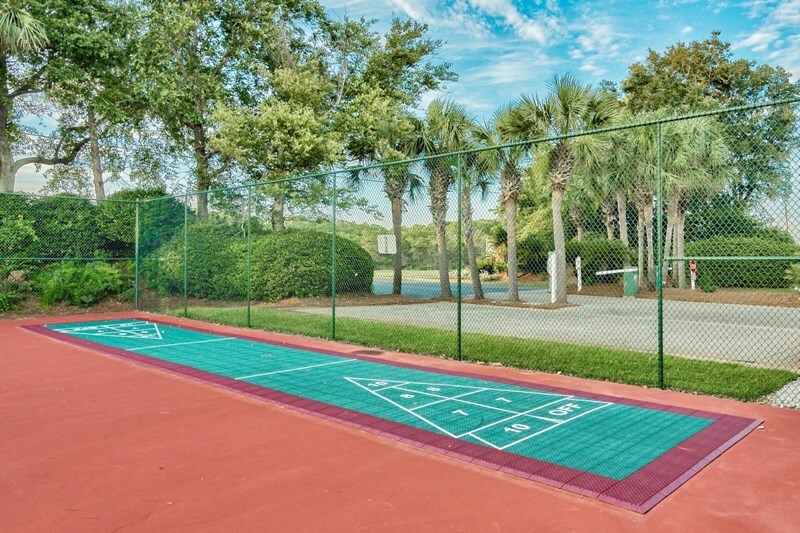 Tennis and Basketball courts in community! 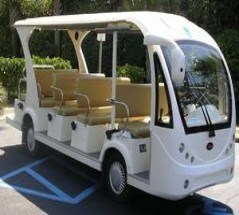 Community tram available during peak spring and summer seasons! We do not ask for a security fee. 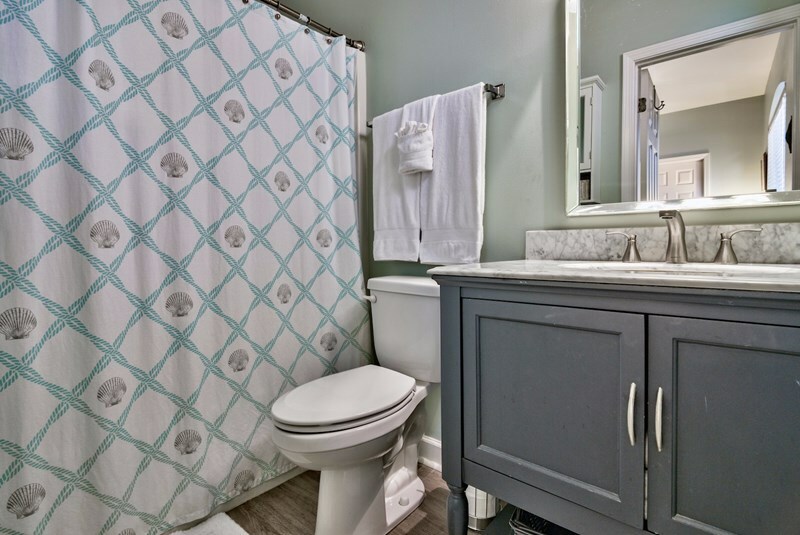 A cleaning fee of $225 is assessed for every rental. 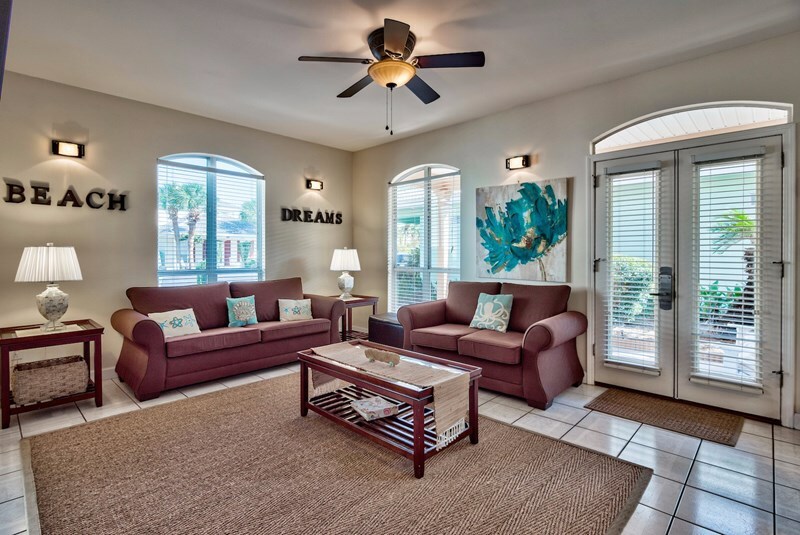 Welcome to our 'Beach Dreams' home! 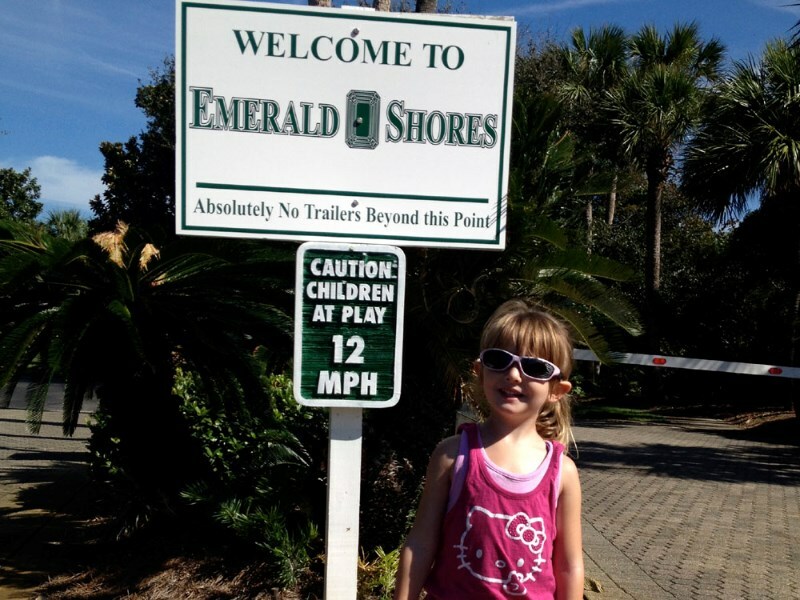 We are located a short walking distance to the gated Emerald Shores private beach (approximately 125 yards). There is also a FREE beach shuttle, during peak seasons, to transport you and your gear to the beach if you need assistance. 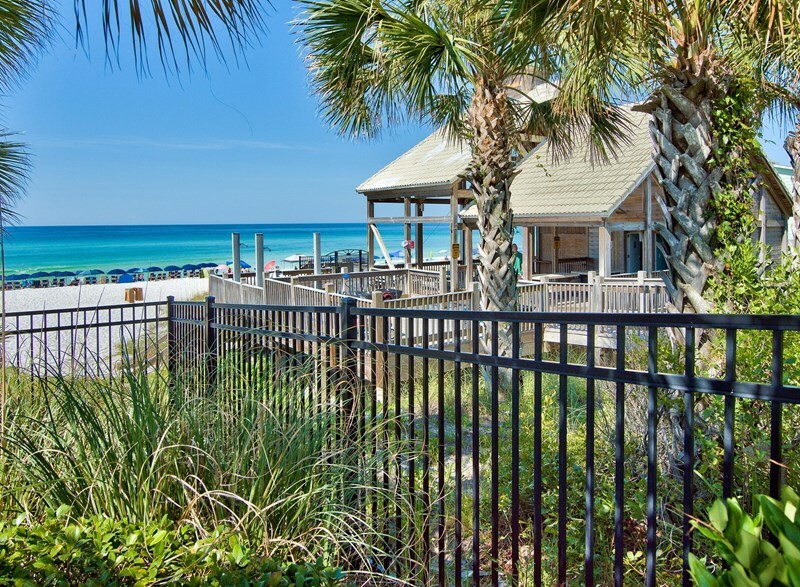 There is a private Pavilion available to guests with picnic tables, rinse showers and bathrooms located on the beach. The Pavilion also features a Cabana Cafe open seasonally serving beach fare and drinks! Beach umbrella, chairs, canoes, kayaks, paddle boards and bike rental service is available on the beach from La Dolce Vita Beach Service. 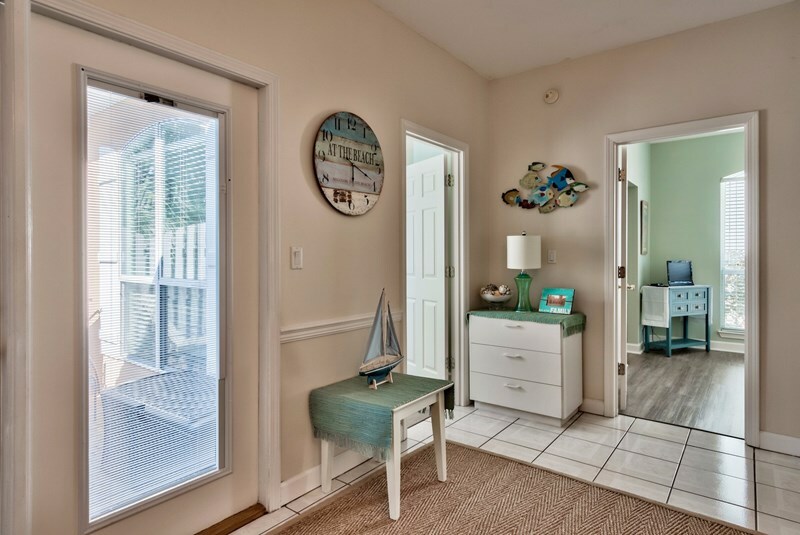 Our 3 bedroom, 2.5 bath home is elegantly decorated and furnished. 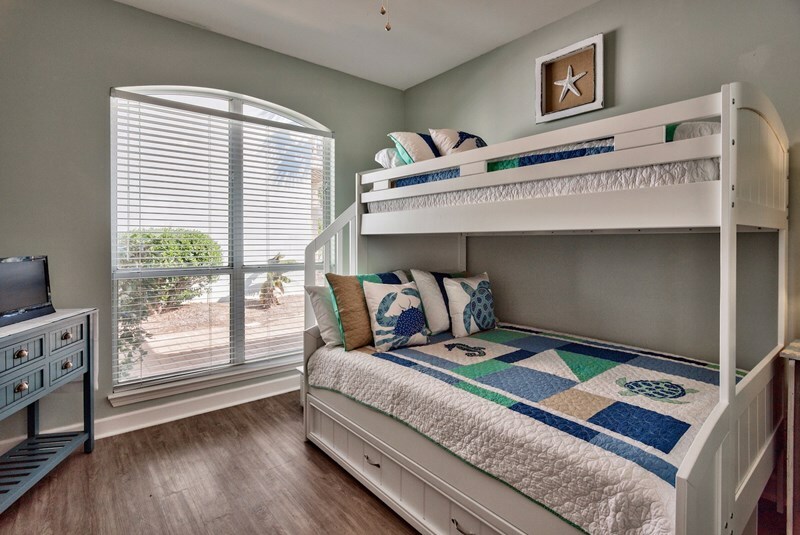 There is a bright sun-room which features a full-size and twin trundle bed for additional sleeping space. 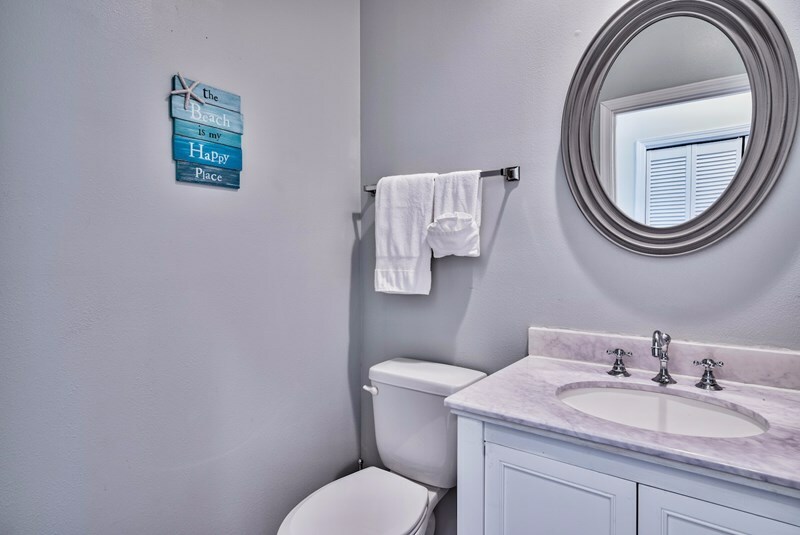 The bathrooms include wall-mounted dryers for guest use. The high top dinette table seats six and there are 3 leather bar stools for additional seating at the counter. The family room includes comfortable leather furnishings and a large wall-mounted 42' flat screen TV with a DVD/VCR combo included. Outside spaces include a fenced-in back yard with a charcoal grill, patio table, side table, lounge and regular chairs with cushions. 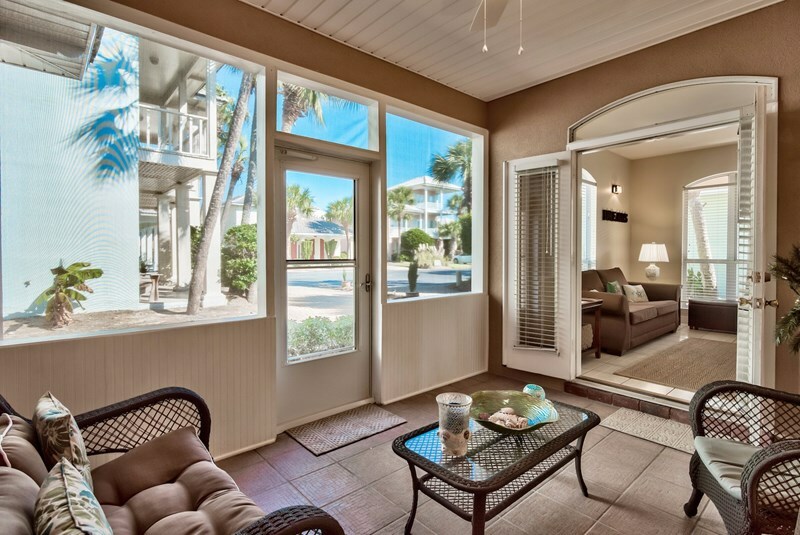 There is also a screened-in lanai with cushioned wicker furniture for enjoying your evenings bug-free. The home includes a full-size washer, dryer, ironing board and iron. 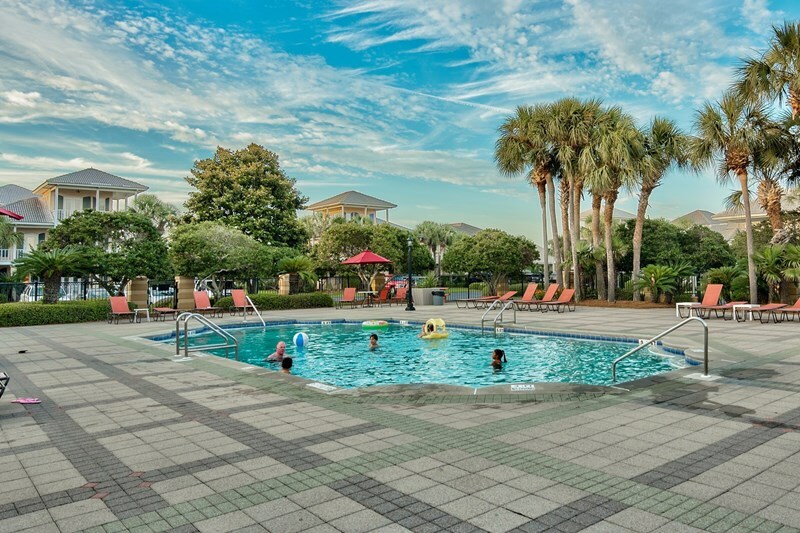 We are mere steps away from one of the two seasonally heated community pools, tennis/basketball courts and shuffle board amenities. Ironing Board Linens Towels Tub Washer/Dryer All bath and kitchen linens provided Bring your own beach towels Start up Laundry kit provided!